6 Yoga Pants That You Can Wear To Work - She Started It! When it comes to taking Athleisure into the workplace, proceed with caution! Certain athleisure styles should steer clear of the office, but there are a select few that are approved for work. These yoga pants happen to be some of our favorites. If you do choose to wear yoga pants or sweats to the office, it’s all in how you style the item. 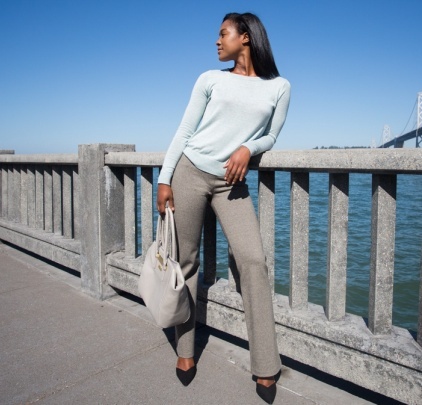 It’s easy to pair some of these beautifully made yoga pants with heels and a dressier blouse. It closely mimics the traditional office-appropriate attire to keep the look grounded and professional. The juxtaposition between casual and dressy can be a bit of a dance, but when worn well it’s playful and au courant. 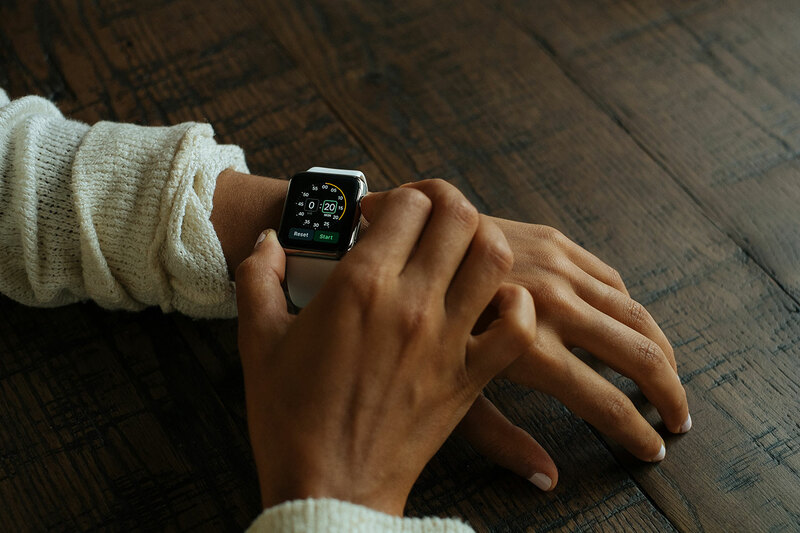 Finding time to hit the gym before work can be quite difficult, especially if you want to get more than a few hours of sleep the night before. That’s why wearing exercise gear to work can not only allow you to maximize your wardrobe, but also your precious time, so you don’t have to do a full change of clothing before or after your workout. Opting for work-appropriate workout gear allows you to maximize your time and clothing, but it also helps you stay comfortable. Think about how great it would be to wear your cozy, soft, flexible exercise gear to work and not be itching to get home and put your sweats on? If you’re a normal human, probably pretty darn good. 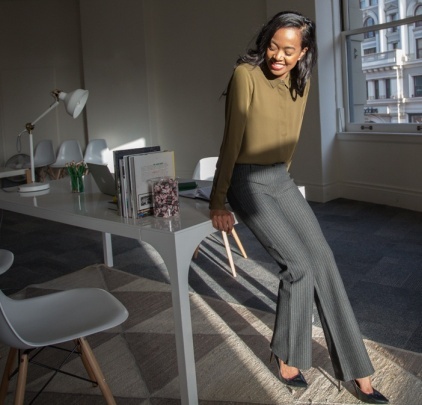 You can also take some of these pieces and mix and match them with traditional office attire for days you aren’t working out, or when you want to dress up your look a bit. Designer Yoga Pants Or Dress Pants – Which Do You Prefer? Feeding off the rise of workout gear that can be worn in or out of the gym, activewear labels have become status symbols, much like any other pricey designer clothes. Premium yoga pants, made popular amongst the masses by Lululemon, can run anywhere from $80 to $500. A horde of brands battle each other in this segment as upstarts such as Outdoor Voices, Michi, and Vie Active jostle with superpowers Nike, Under Armour, and Adidas. Stretch Leggings paired with a smart trench and booties. Totally, work appropriate, right? The “designer casual” look is prominent these days, championed by luxe labels like Brunello Cuccinelli and Isabel Marant. Once dismissed by couture circles as unworthy, luxury fashion houses started selling some adapted forms of fitness wear. Longtime reputations seem to justify selling $400 jersey leggings. Like most women’s yoga pants, these Bootcut Charcoal Pinstripe Dress Pant Yoga Pants have lots of stretch. It comes with a faux zipper and pockets, slim thigh fit and even belt loops! Wouldn’t you rather wear these to work? Get connected to global activewear brands and endorse them for a constant commission. Join the charlie! family today. Don’t see your favorite brand of yoga pants? Tell us about it in the comments below.